This exhibition continues an exploration of the natural world and the cultural landscape. What do we experience (feel) when we look at a painted image? For some time Karen Yurkovich has sought an answer to this question. She continues to interrogate the possibility to continue to paint by producing ‘necessary’ images. The research of this last year approaches this question through a deconstruction of kinds of painting, reduced to their codes and structures, and repositioned into the contemporary debate with a new function. Through stories engaging the marginality of botanical species or historical images marginalized in the contemporary art debate, Karen Yurkovich constructs a painted archive of suspended images, not intact but missing parts, of subjects almost extinct. Functionally Extinct, borrows a definition from science that addresses species unable to successfully reproduce or whose population is so reduced to not have any real or specific function within their ecosystem. 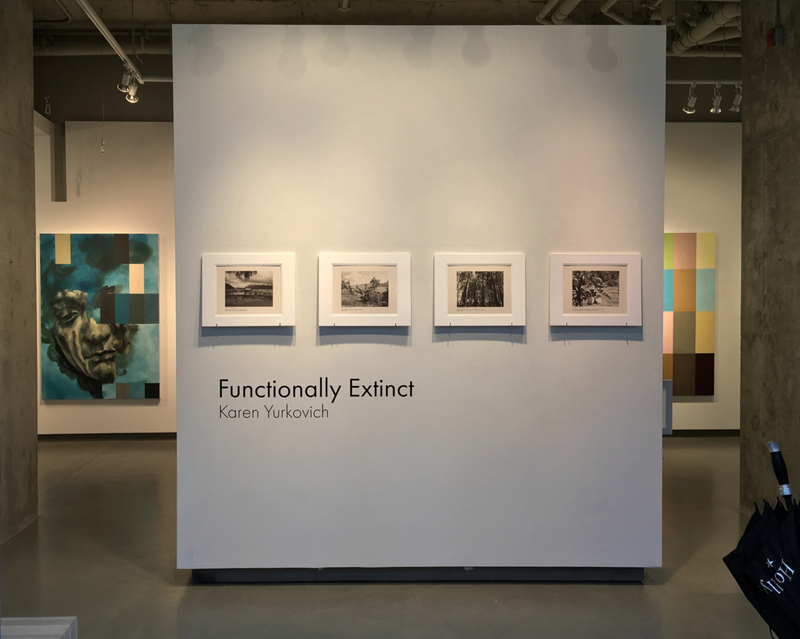 Through stories engaging the marginality of botanical species or historical images marginalized in the contemporary art debate, Karen Yurkovich constructs a painted archive of suspended images, not intact but missing parts, of subjects almost extinct.